Thonk! Clonk! Clap! The team behind Roadworks and Demolition returns to the building site with another winner for pre-school fans of machines and building sites! Describing all the heaving and hammering involved in building a new library, this book is full of action-packed illustrations, irresistible sound words, and includes a pictorial glossary of all the machines in the book, too. 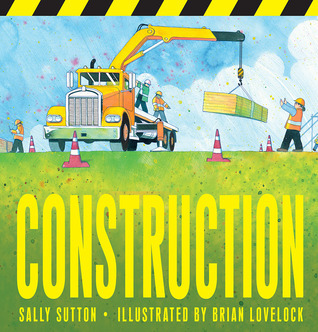 Join in the exciting adventure of building a new library, with Construction by Sally Sutton. From digging the ground, to painting the walls, you are with the team for every step of the big build. Each page is about a different aspect of the build, and is written in a rhyme, with added sounds of the machinery/tools at the end of each sentence. One thing that I noticed myself doing was reading it in the voice of Bert from Mary Poppins, as each sentence starts with the same phrase twice. ‘Build the frame. Build the frame’. The book has bright, colourful, bold illustrations, that children will love looking at. At the back of the book is an illustrated glossary of the different types of machinery and safety equipment that was used during the construction. I think youngsters, especially ‘digger mad’ little ones, will love this book. I just wish that they were building more libraries in real life, rather than closing them down. When I was six years old, I decided that I wanted to be a writer when I grew up. I’m not sure that I’m quite grown up yet… but I’m definitely a writer! I think it’s the best job in the world, because I get to make stuff up, play around with words and sounds, and meet lots of kids. My FAVOURITE things! I also like reading (of course), eating, walking on beaches, watching foreign movies, drinking too much coffee, and listening to the rain on the roof. Favourite colour: purple. Favourite book (someone else’s): Margaret Mahy’s ‘The Man Whose Mother Was a Pirate’. Favourite book (mine): the one that’s just come out! 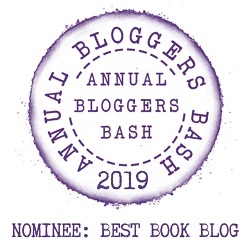 Favourite reader (at this very moment): YOU.